The 97th issue of our newsletter was published on March 28th. In this month's newsletter, the main topic also focused on Health, Safety & Environment (HSE) with a Reliability article on Another industrial disaster, another wake-up call for maintenance and a reprint of the article Achieving Better Risk Prevention in Chinese Terminals initially published in the international Tank Storage magazine, featuring our customer LBC Shanghai Shipping Terminal. The Tips & Tricks article also features Strong support for HSE with Coswin 8i, further illustrating the link between HSE and maintenance. This month’s Customer Story tells the experience of Arkema Changshu. The article titled Siveco assists Arkema Changshu in CMMS data collection best practices explains our involvement in building up the equipment database for the entire Changshu chemical production complex, Arkema’s largest worldwide. 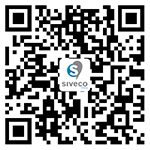 Siveco people tells of Siveco support teams fosters continuous improvement with annual on-site assessments. The quarter has also been rich in news, articles and even a podcast interview. You can find them all in our Latest News. At Siveco, we never stop! Subscribe to the newsletter (note that the newsletter will only be sent to those who subscribe).